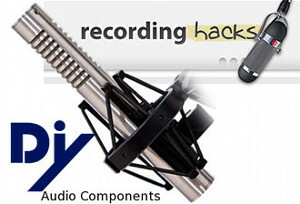 Dear friends, I am happy to inform that DIY Audio Components project itself and our hand-crafted RM-5 ribbon microphone were listed in RecordingHacks.com database! Great thanks to Matthew McGlynn for getting in touch with me and offering to list my product on his dedicated microphone resource... Cool to get noticed! Feel free to check out the links above.